Chagatai Khan: Loyalty & Patriotism: Shaheen Sehbai, Dr. Shahid Masood, Musharraf & Dr. A Q Khan. Loyalty & Patriotism: Shaheen Sehbai, Dr. Shahid Masood, Musharraf & Dr. A Q Khan. High-level coöperation between Islamabad and Washington on the Pakistani nuclear arsenal began at least eight years ago. Former President Musharraf, when I interviewed him in London recently, acknowledged that his government had held extensive discussions with the Bush Administration after the September 11th attacks, and had given State Department nonproliferation experts insight into the command and control of the Pakistani arsenal and its on-site safety and security procedures. Musharraf also confirmed that Pakistan had constructed a huge tunnel system for the transport and storage of nuclear weaponry. “The tunnels are so deep that a nuclear attack will not touch them,” Musharraf told me, with obvious pride. The tunnels would make it impossible for the American intelligence community—“Big Uncle,” as a Pakistani nuclear-weapons expert called it—to monitor the movements of nuclear components by satellite. Group Editor of The News International (Jang Group of Newspapers) Shaheen Sehbai taking part in the programme expressed the view that Musharraf’s remarks about President Asif Zardari, as attributed by Hersh, could not be casually ignored. 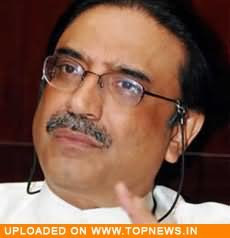 He said it must be investigated why Musharraf accused Zardari of not being a patriot, because, according to Sehbai, Hersh had some inside information given to him in interviews with Musharraf and Zardari which he did not reveal in his report. Seymour Hersh while standing by his report, pertaining to the comments offered by former President General (R) Pervez Musharraf about incumbent President Asif Zardari, has disclosed that the former president had given some harsher comments about his successor but in the ultimate scrutiny he allowed the remarks that he made part of his article. REFERENCE: Hersh claims US nuke team already in Islamabad By Muhammad Saleh Zaafir Sunday, November 15, 2009 http://www.thenews.com.pk/TodaysPrintDetail.aspx?ID=25579&Cat=13&dt=11/16/2009 GEO TV: National Interest, Seymour M Hersh, Shaheen Sehbai & Dr Shahid Masood. 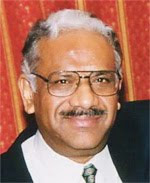 http://chagataikhan.blogspot.com/2009/11/geo-tv-national-interest-seymour-m.html URDU TEXT OF MUHAMMAD SALEH ZAAFIR'S REPORT FILED IN DAILY JANG [TO PROMOTE ANTI PAKISTAN SEYMOUR HERSH] IS AT THE END. 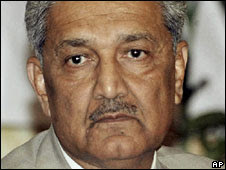 LAHORE: Nuclear scientist Dr Abdul Qadeer Khan has expressed his firm conviction that former military ruler Pervez Musharraf had transferred very sensitive information relating to Pakistan’s atomic programme to the US. 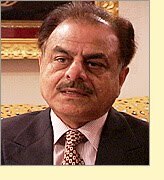 Dr Khan said he was ready to record the facts before the court of law.Talking to this correspondent he confirmed the contents of the recent Washington Post story and said these were drawn from the copy of his letter, which he addressed to his wife and handed over to his daughter Dr Dina Khan in 2004 as a precautionary measure when she was leaving for Dubai. The letter had ultimately landed at Musharraf’s table after being recovered from the baggage of his daughter. Musharraf referred to the letter in his book also and now it has appeared in the press, Dr Khan said. He said on the orders of the dictator, humiliating search operations were carried out in his residence and all documents, personal diaries and family photos were confiscated. The computerised national identity cards were returned after several written requests. 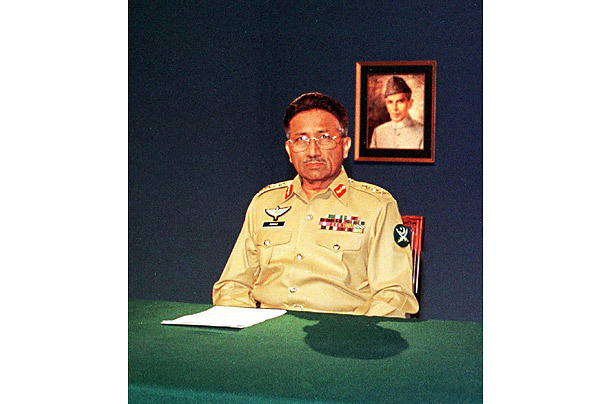 He confirmed the observations of columnist Jabbar Mirza that Musharraf was hell bent upon handing him over to the US. In this connection, Dr Khan said, the then-prime minister Mir Zafarullah Khan Jamali had himself confided that he was under severe pressure to sign his exit order, which he refused after taking the federal cabinet into confidence. He said Musharraf kept a C-130 plane ready to fulfil his nefarious designs. Dr Khan questioned what type of justice it was that the truth was made secret for countrymen while it was transferred to the US. The nation must know that national secrets were handed over to Washington by the former president who was an American stooge, he said. He said the nation knew well who its well-wisher was. He said one-sided action was taken against him during the Musharraf regime and a deliberate and well-calculated policy was implemented to brand him a culprit. It may be recalled that the letter published by the Washington Post leads to information, which proves that China helped Pakistan in the initial stages of Pakistan’s atomic programme. On the contrary, Dr Khan had started mutual cooperation by briefing the Chinese officials with regard to the European centrifuges. The letter leads to the conviction that every thing was done for the mutual interest. The letter discloses that uranium hexafluoride (UF6) was procured in return for invertors, valve flow metres, pressure gauges and other machines. After being self sufficient in 1982, Pakistan offered to return the same but the Chinese were gracious enough having asked to retain them as gift. The letter that appeared in the Washington Post is also significant because therein Dr Khan had quoted people who were alive as against accusations that he always referred to the people who were dead. He told this correspondent that a comprehensive strategy against him and Pakistan’s atomic programme had been drawn at a secret meeting between Musharraf and former CIA director George Tenet at a hotel in New York on Sept 24, 2003. It was the meeting which both of them in their books had referred to. It is interesting that many assertions made by them are conflicting with one another. Musharraf claimed to have recognised the Pakistani P-1 Centrifuge design shown by George and told him that it was the same manufactured under Dr Khan’s supervision. Dr Khan said these sketches were sealed in 1982-83 and at that time Musharraf had no access even up to the threshold of Kahuta plant. Khan demanded inquiry and trial against Musharraf and his coterie. It is an open secret that Musharraf had deep-rooted contacts with Israel and God knows how many secrets he had transferred to them. He said under a planned policy the former president had transferred all responsibility over his shoulders, which he was not going to deny. But, he demanded to expose his confessional statement secured under duress or to record his statement afresh so that real facts might be revealed. GEO TV/JANG GROUP's Message of Hate for Pakistan. 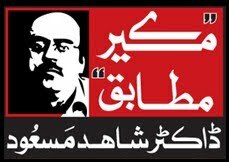 Jang Group VS Dr. Shahid Masood & ARY ONE World. Mahmood Sham & Shaheen Sehbai on ISI. Shaheen Sehbai VS Jewish Community & Musharraf. Shaheen Sehbai praises Asif Ali Zardari. GEO TV: Hamid Mir's Anti Pakistan Reporting. GEO TV: Selective Freedom of Expression. GEO TV violates Blasphemy Law of Islam. 'LIE' with Talat & Aaj TV Pakistan.